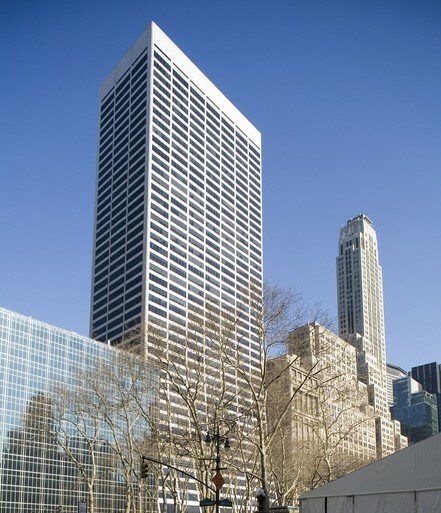 Brookfield Properties announced that the global advertising technology company The Trade Desk, Inc. has signed a lease for 95,580 s/f at the Grace Building, taking the top three penthouse floors. The Trade Desk chose the space for its growing New York office to create an inspiring environment that employees will enjoy, according to Brookfield. “We are excited to welcome The Trade Desk, a company defining the next generation of advertising in the digital age, to our esteemed roster of tenants at the Grace Building,” said Ben Brown, Executive Vice President, Brookfield Property Group. Owned by Brookfield and The Swig Company, the Grace Building is a 49-story, 1.6-million-square-foot, LEED Gold-certified office building. It features 42,000 s/f of retail space and a 30,000 s/f outdoor plaza that is being transformed into a “vibrant destination ”with activations by Arts Brookfield, Brookfield’s arts and cultural program. Its office tenant mix includes companies in an array of industries, including Humanscale. Food and dining options include Gabriel Kreuther, Bluestone Lane, Joe & the Juice, Kreuther Handcrafted Chocolate, Sweetgreen and STK. Brookfield Properties was represented by Ken Rapp, Peter Turchin, Sarah Pontius, Zak Snider and Cara Chayet at CBRE as well as in-house by Duncan McCuaig and Alex Liscio. The Trade Desk was represented by Carlo Brignardello, Richard Selig and Peter Sabesan at Cresa.